As the cheapest form of sushi or maki, the bento boxes would definitely your best budget-friendly meal. Found at almost any convenience store, they are sure to make your hungry stomachs full. Be aware though, that though they aren’t the best in Japan, they would still probably be better than some (or most) Japanese restaurants at home. 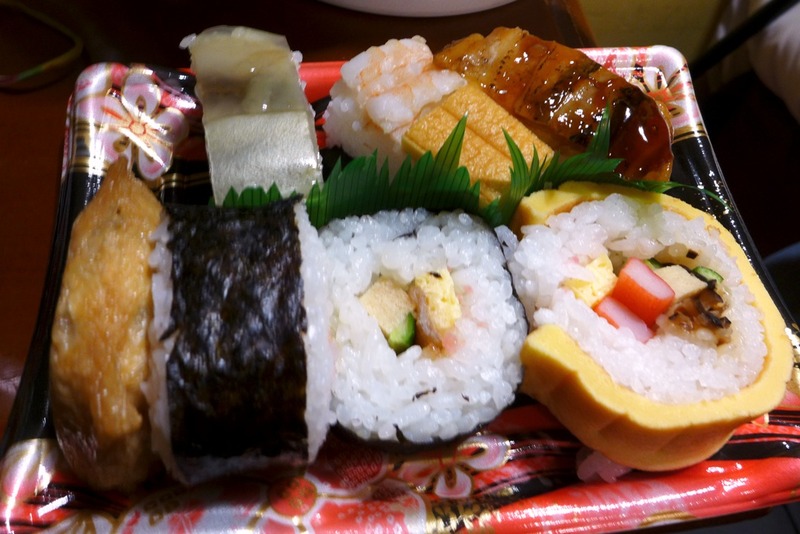 I particularly enjoyed my bento box from a train station (called ekiben), where I got a maki roll of egg and mushroom. 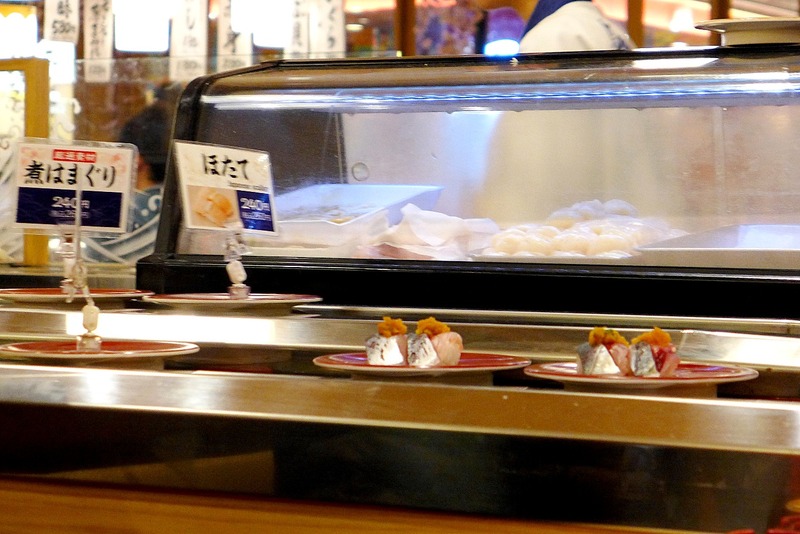 On-the-go sushi meals could also be had in a kaiten-sushi restaurant, where plates of sushi flow in a conveyor belt. Pick up a plate and enjoy. Come payment time, a waiter would run his hand-held device to count the plates you’ve eaten and even compute for your total bill (because not all plates are created equal). Not the best sushi, but quite a unique experience. 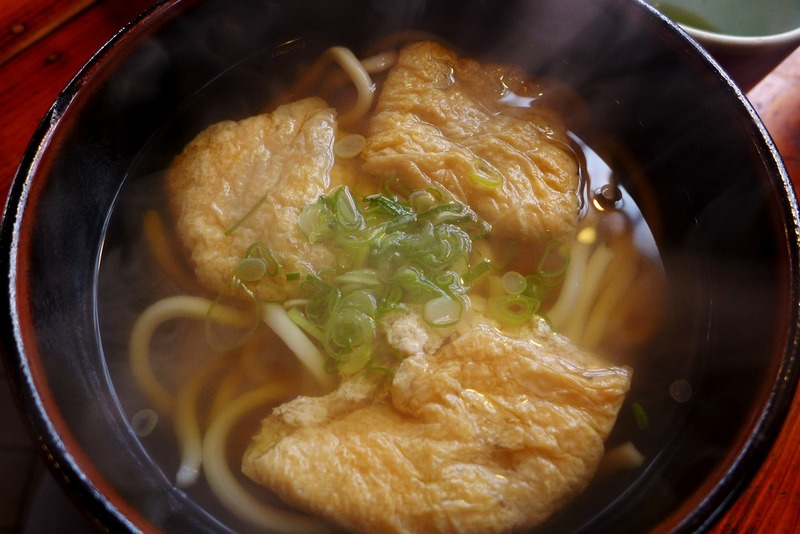 The answer to a very cold day is a warm bowl of hot soup, be it ramen, udon or soba. 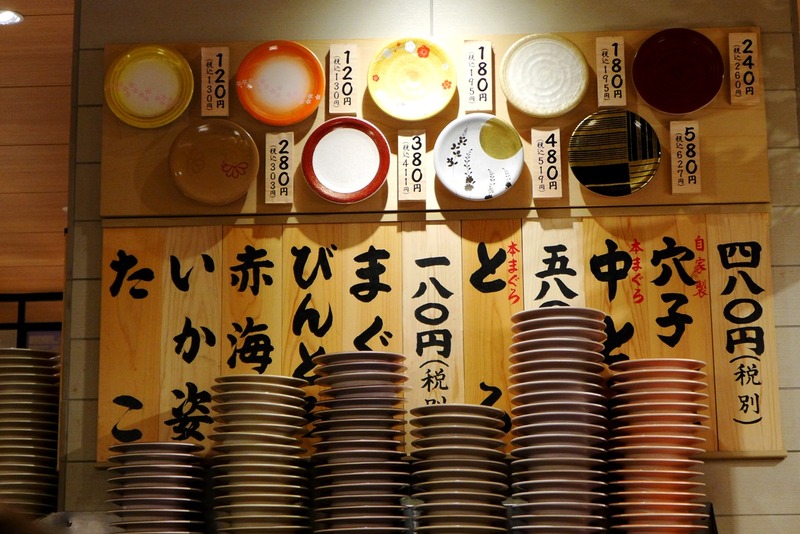 This trip Japan opened my taste buds when it comes to the subtle differences of soups and noodles. 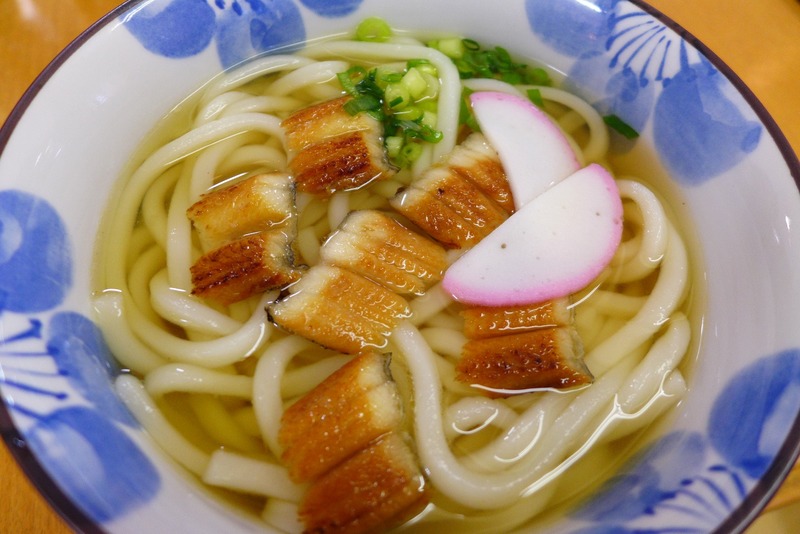 I still didn’t fall in love with ramen, but udon won my heart. 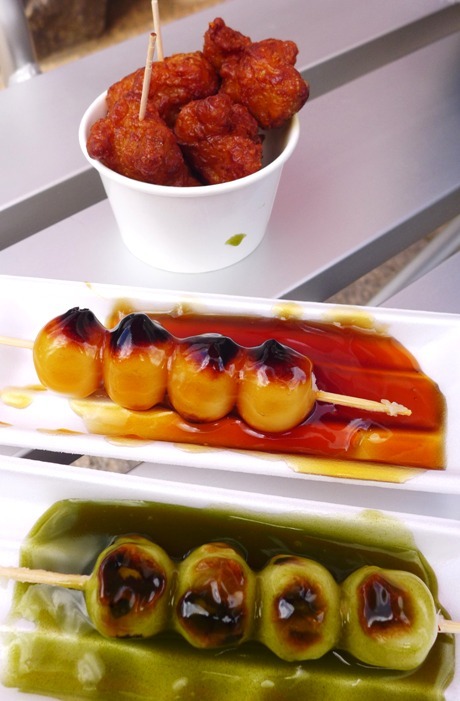 My favorite of all Japanese food experiences, eating street food gives you a more authentic Japanese experience. 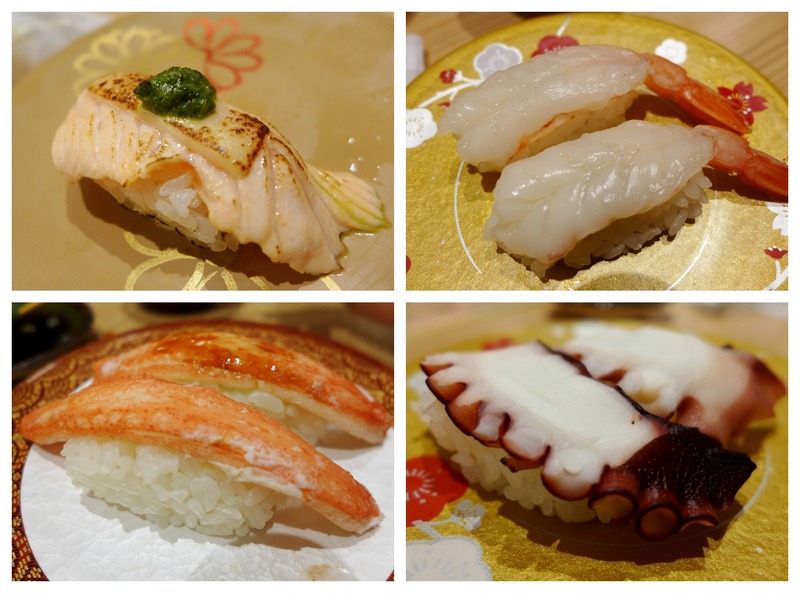 From Osaka’s okonomiyaki and takoyaki to Miyajima’s nigiri-ten and momiji manju, from crispy crackers to sticky rice balls, ice cream and cream puffs, there’s something that would surely impress you. 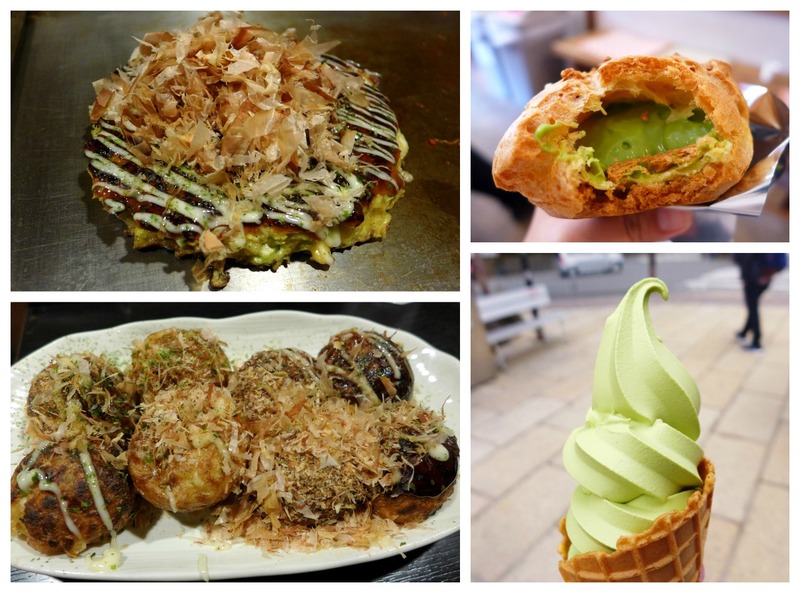 Okonomiyaki, nigiri ten, matcha dango and matcha ice cream were my favorite treats. A set meal wasn’t the cheapest meal we’ve had, but it definitely filled our stomachs to the brim. It’s soup plus salad plus meat plus rice. 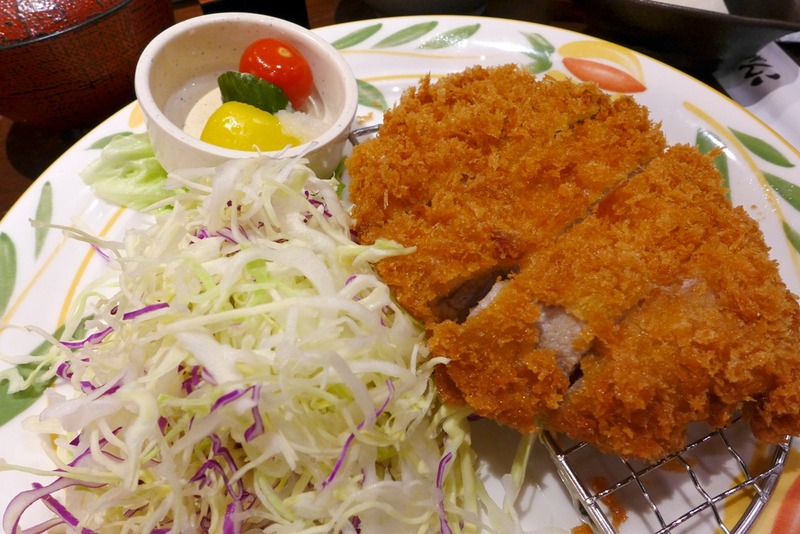 I ordered a tonkatsu, and I was wonderfully surprised by how tasty it was — Manila’s version would severely pale in comparison. Golden crumbs covered the tender and juicy slice of pork, while the rice was sticky and very delicious. 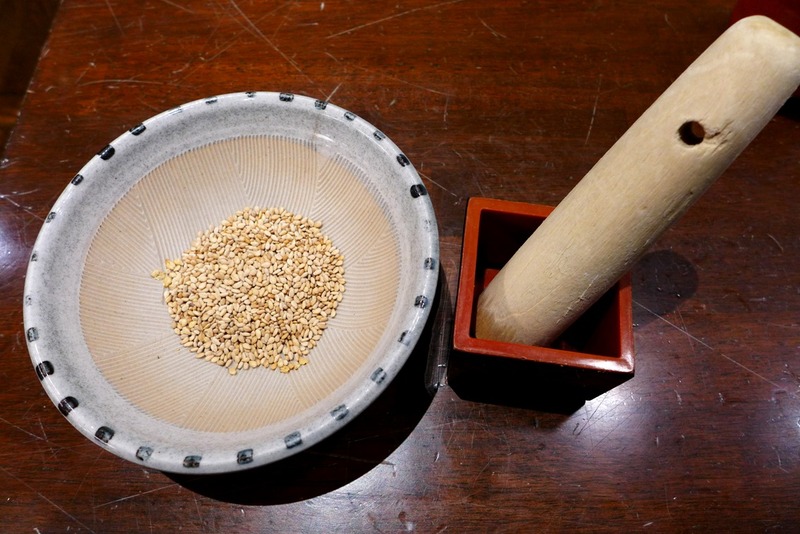 The miso soup was not as interesting, but grinding my own sesame seeds for my dip was a new experience!